Those massively multiplayer online games keep coming in, and it’s no surprise why – there is almost always a lot of replay value when you’re competing against real-life players and taking advantage of the social element in games. Galaxy Alliance is one of those newer MMOs, a game from GA+ that’s currently available for iOS devices only. 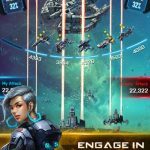 You play the role of an expedition fleet commander, and your objective is to rebuild your nation in a new, habitable planet. As such, this can be considered a city-building game, where you can construct and upgrade buildings, churn out military units (ships), and explore a variety of galaxies. As for the social element, you can join alliances and take part in alliance wars. 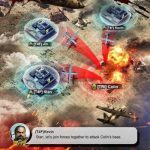 There’s a lot of depth to this game – a lot of tactical strategy, and a lot of things to remember. 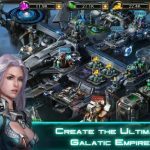 But with these Galaxy Alliance cheats, tips and hints, we can make things easier for you in just about every facet of the game if you’ve just begun playing. Construct those resource buildings as early as you could, and upgrade them accordingly. You can use the five-minute speed-up option to complete them free of charge, allowing you to skip through the boring construction process. So what can these buildings do for you? Your metal and crystal mines, antimatter collectors, and gas refineries will generate their respective resources, while residences will earn you more coins. You can get valuable experience points and resources by completing the Planet Quests, and would be able to claim your prizes in the quest menu once you’re done with them. You don’t need to rush to redeem them as soon as possible, as if you don’t, other players won’t be able to redeem them. But once you claim the rewards, that’s the only time other players will be able to steal them from you. Keeping that in mind, claim them only when it’s absolutely necessary. In the early parts of the game, you’ll want to upgrade your safe storage to the highest possible level. This would allow you to protect a certain percentage of your maximum resources. Both the standard storage and safe storage should be upgraded if you want to protect a larger percentage of your resources. In the world of MMO, there’s sure to be players who may lose interest in the game, thus leaving their bases or nations unguarded and unattended to. Look for these players, and go raid their nations right away; you can then farm for resources as long as they don’t have any auto-shields to protect them from invaders. Multitasking can save you a lot of time and help you accomplish more – in here, we’re referring to your queues. We recommend having an upgrade queue, a training queue, a research queue, and an attack march all up simultaneously. Once again, use the five-minutes-or-less option for your research so you can skip all the boring stuff and get the research done ASAP.